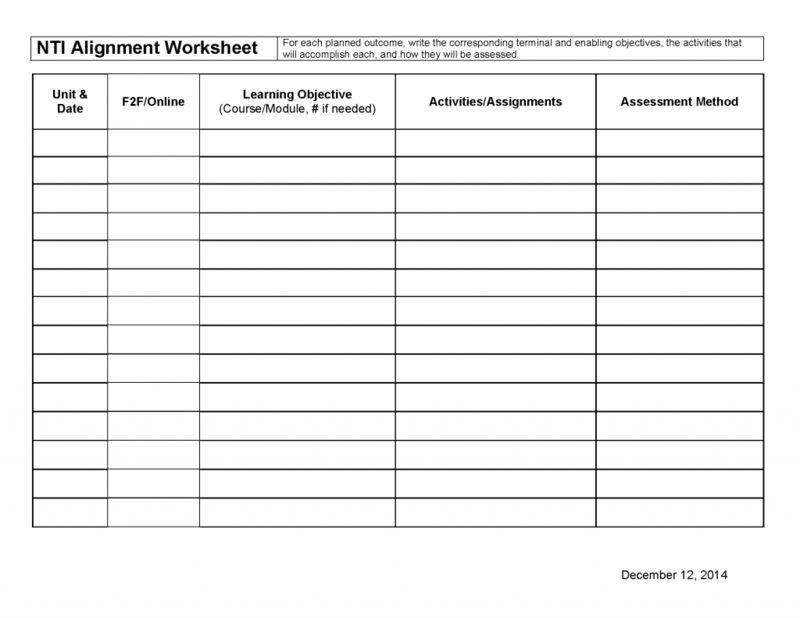 Hybrid Course Alignment Worksheet – Fredrick W. Baker III, Ph.D. This is a Hybrid Course Alignment Worksheet I created for the New Teaching Institute (Hybrid Instructor Training at UT) based on a previous version they were using. I cleaned the form up and made sure the key areas for alignment were represented. The idea is that for each unit in a course, the instructor writes the delivery modality (face-to-face or online), the objectives covered, which materials/activities/assignments will align with these objectives, and how these objectives will be assessed. This sheet has become the standard and is now in a template here.